Iran is building two nuclear plants, and so far the United States is doing nothing to stopping it. 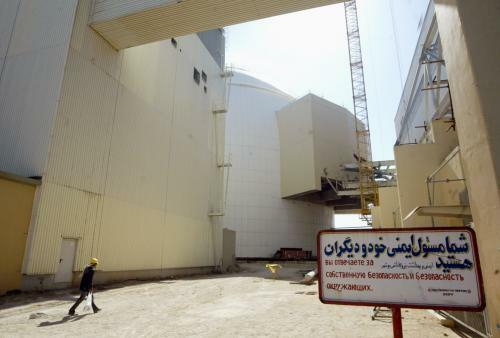 Iran announced on Monday that it is building two new plants at Bushehr, where one nuclear facility already stands. The Trump administration has failed to take steps that might prevent the Iranians from building, and one Republican insider told the Washington Free Beacon that he suspects career State Department bureaucrats are standing in the way. "If the State Department is even considering waivers for Iran to expand its nuclear program, if those are even a little bit in play, you have to ask yourself what else is already a done deal and why that isn't public yet," one veteran Republican official, reflecting the views of many Iran hawks, told the Washington Free Beacon. "You also have to ask yourself if the State Department knows that Republicans won the last presidential election or whether we're all just going to pretend it's Obama's third term and the Iran deal is still in place," the source said.